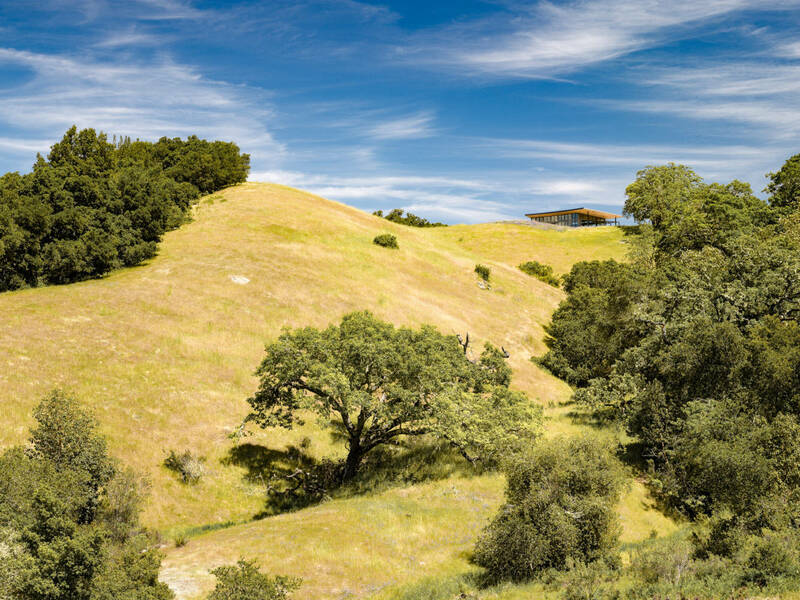 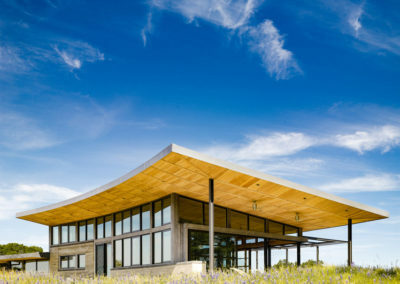 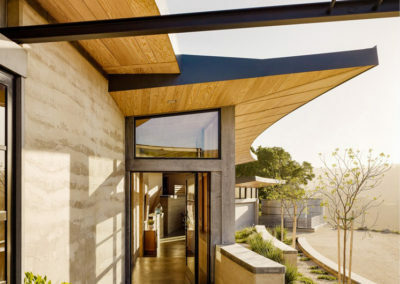 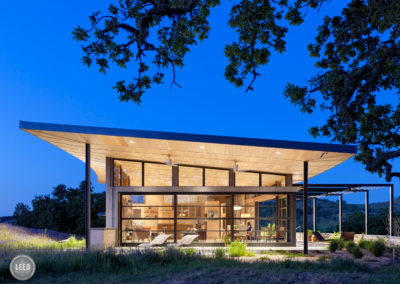 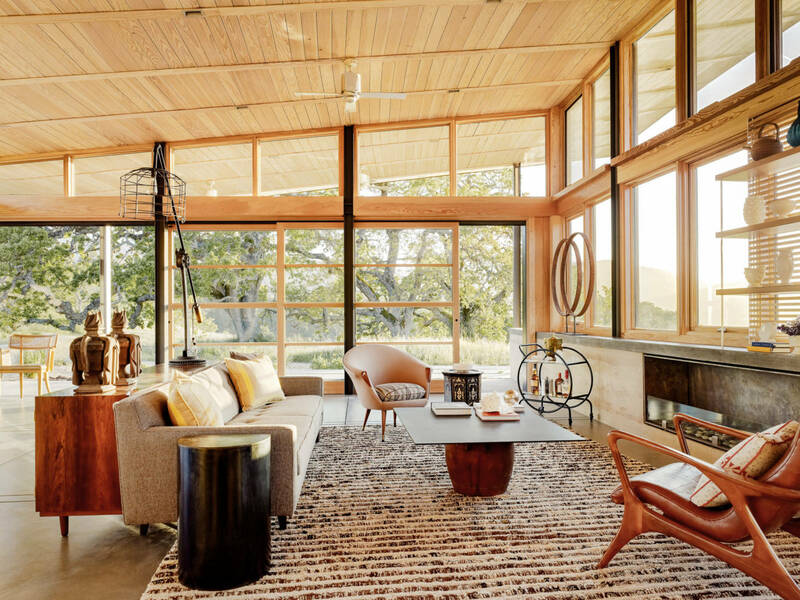 The design for the Caterpillar House, sited on the softly rolling hills of the Santa Lucia Preserve, sought to accentuate a connection to the land. 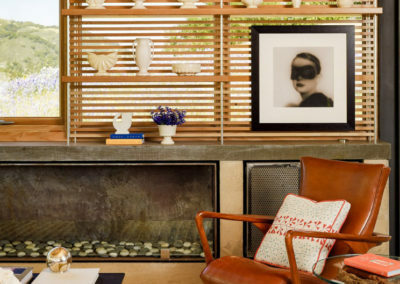 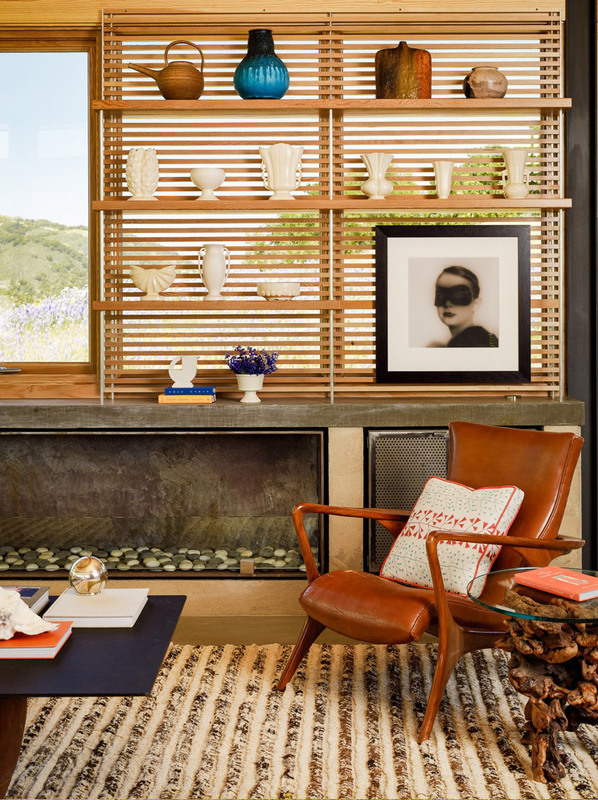 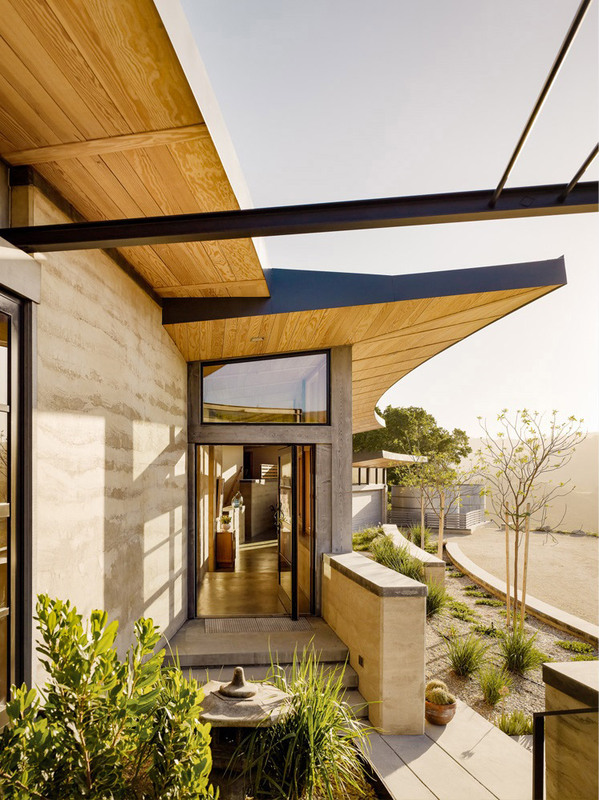 Having lived in a Cliff May home, the client came to the project with a love of modern ranch houses and looking for an environmentally-conscious response to a beautiful site. 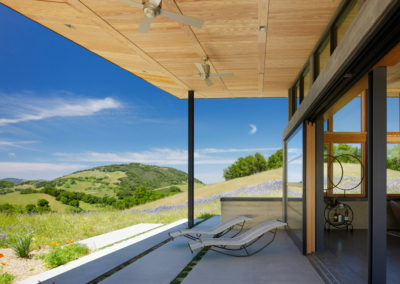 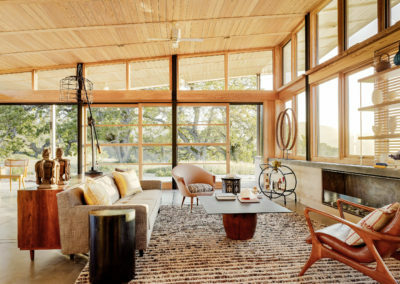 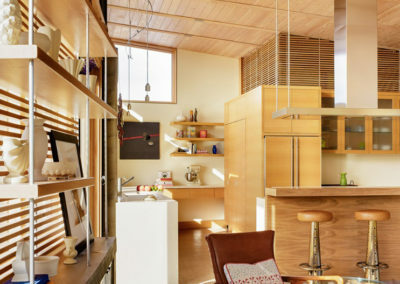 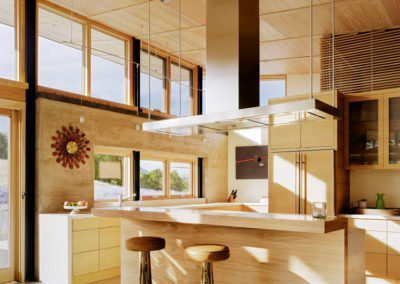 The Caterpillar House implements sustainable elements while exploring a contemporary version of the ranch ideals: massing that is low and horizontal, an open plan with a strong connection between indoor and outdoor spaces, and main living areas that center informally on the kitchen. 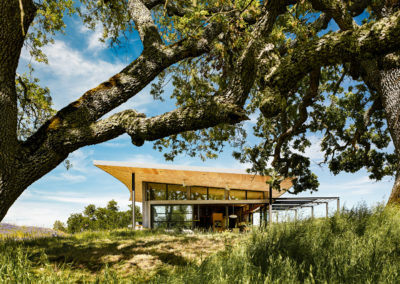 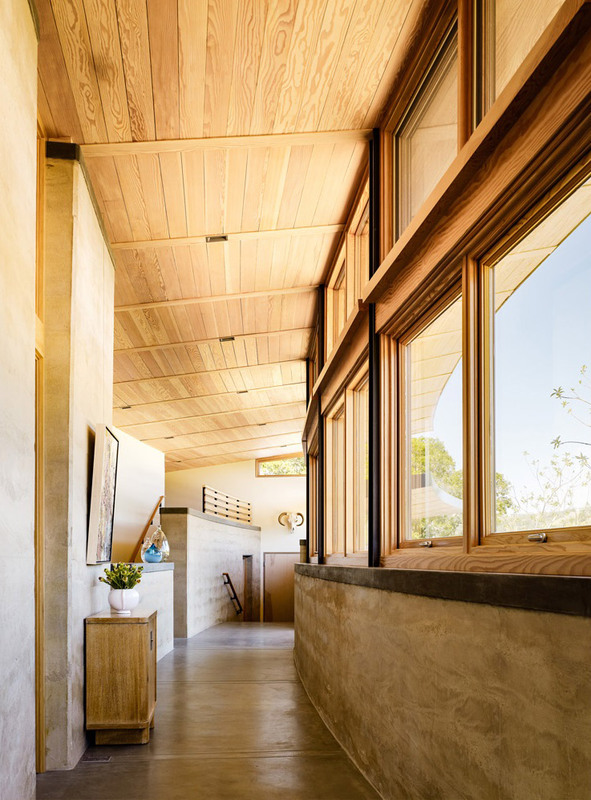 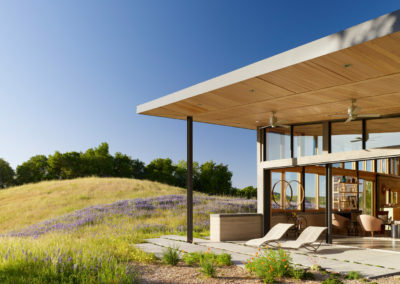 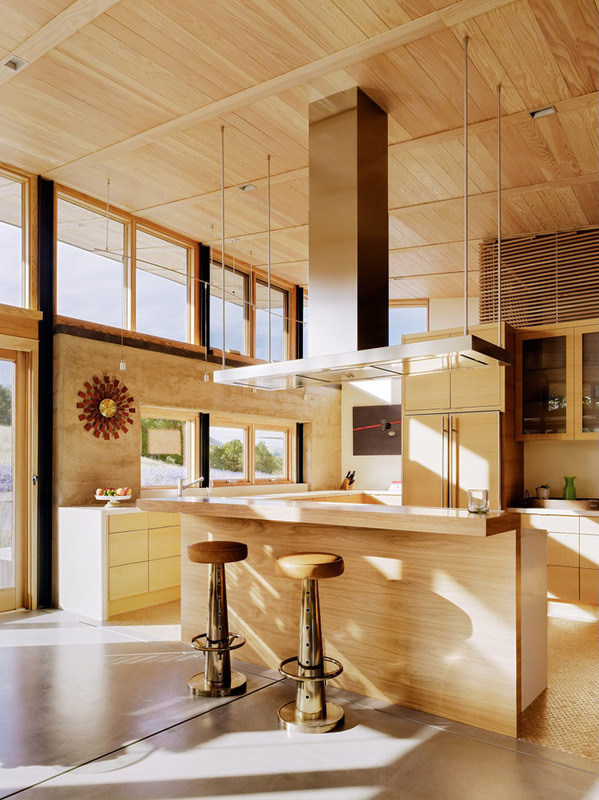 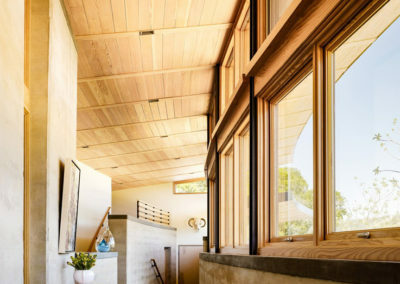 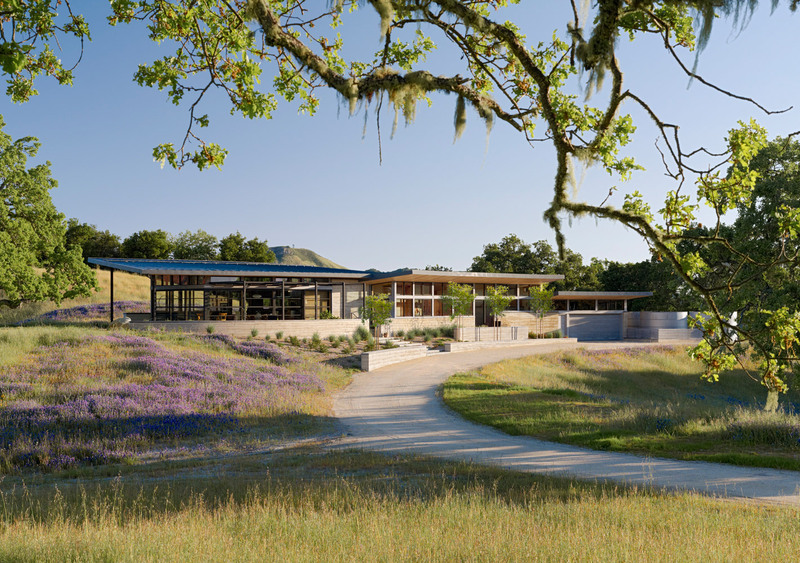 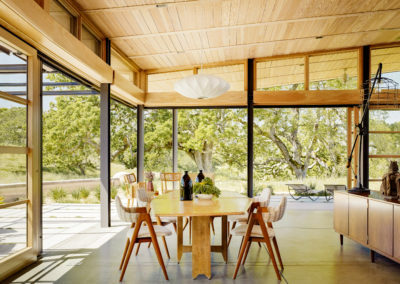 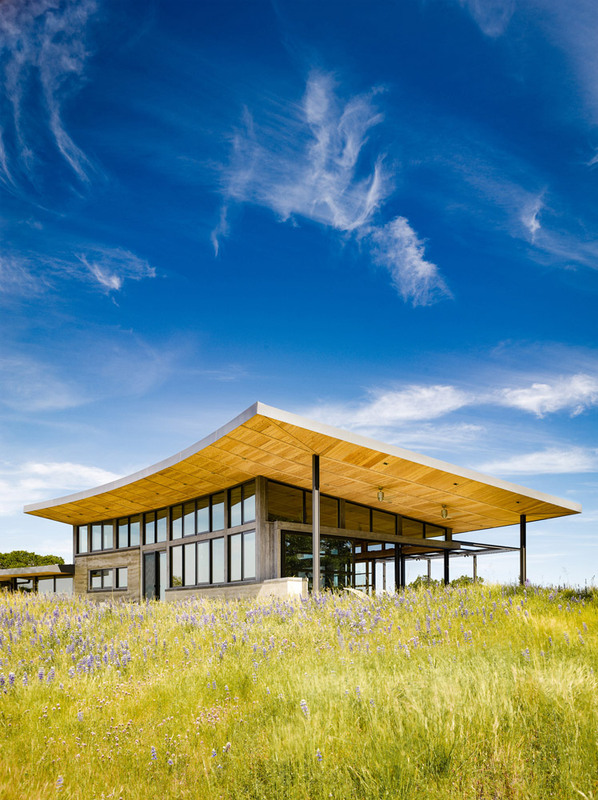 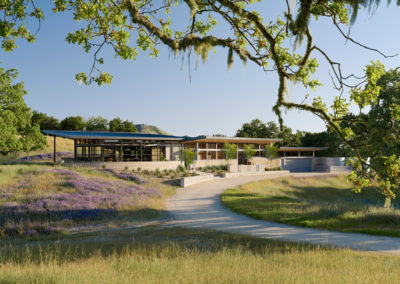 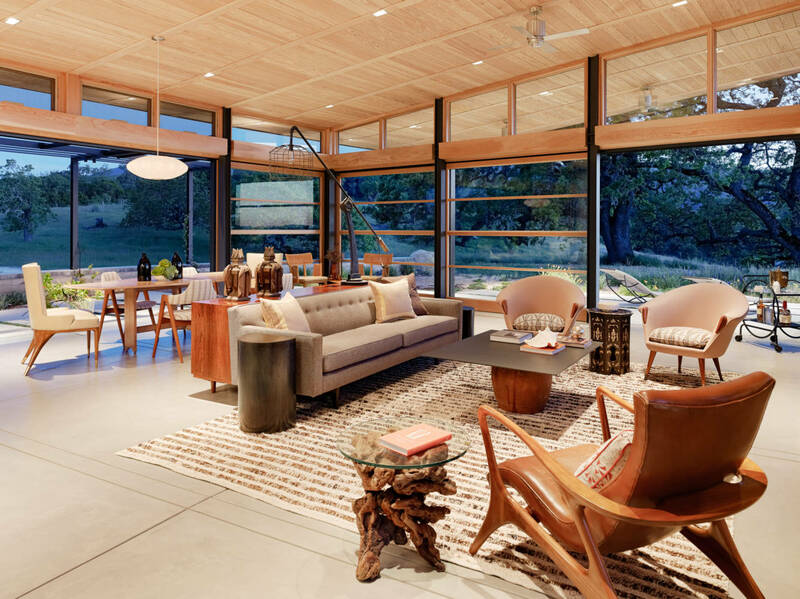 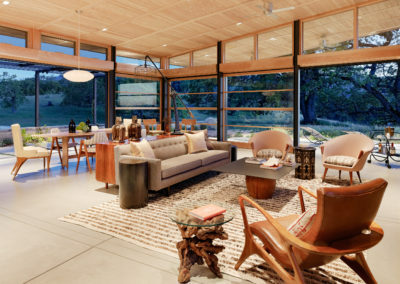 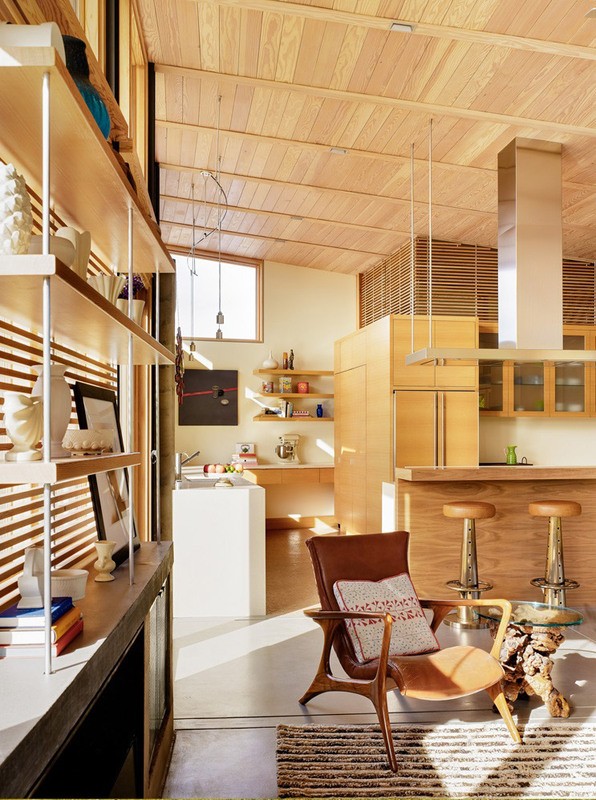 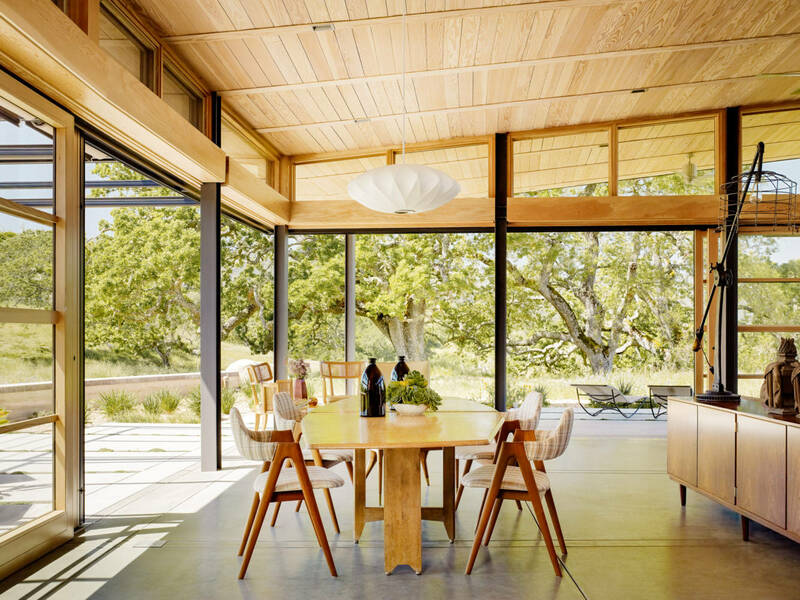 The Caterpillar House was the first LEED Platinum Custom Home on California’s Central Coast.